The holiday gifting season is upon us! Cue the mad dash to find the perfect gift for everyone on your list. Rest assured, the experts at The Beauty Marketplace have great options to help. This year, everyone on your list will be left glowing and full of gratitude. We always want to look our best, but with busy schedules it may be hard to make that a reality. This amazing kit comes complete with all the essentials to get you on your way. 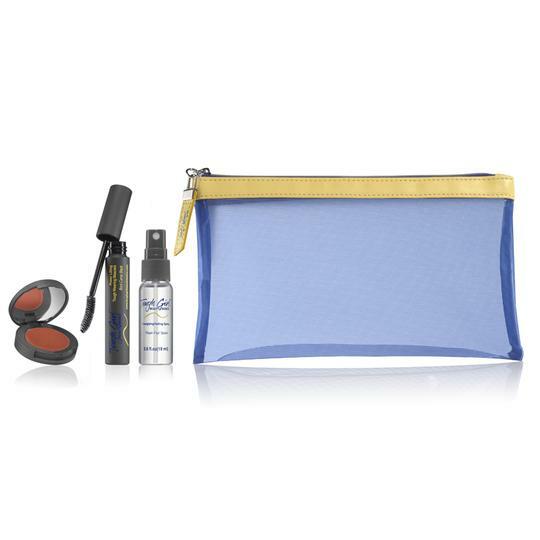 Included in the water resistant cosmetic pouch you will find the Energizing/Setting Spray, Power Lifting Tough Wearing mascara, and the multi-use Tough Girl Lip/Cheek Tint. Whether you are running to the store, or an important meeting, the Busy Beauty Kit will get you looking and feeling your best. 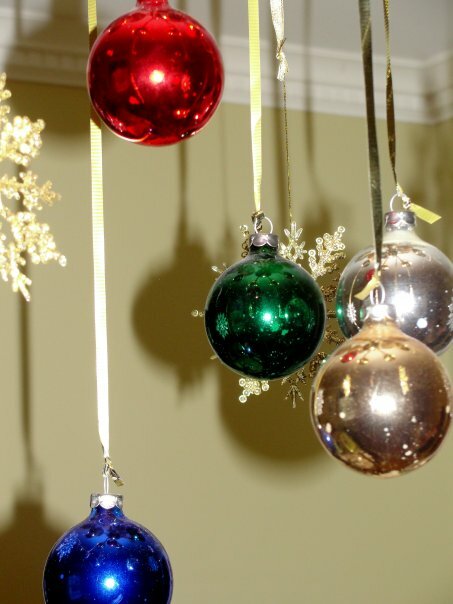 Joy Chakra Boost by ADORAtherapy, Inc.
As we move further into the holiday season, the more Joy the merrier! 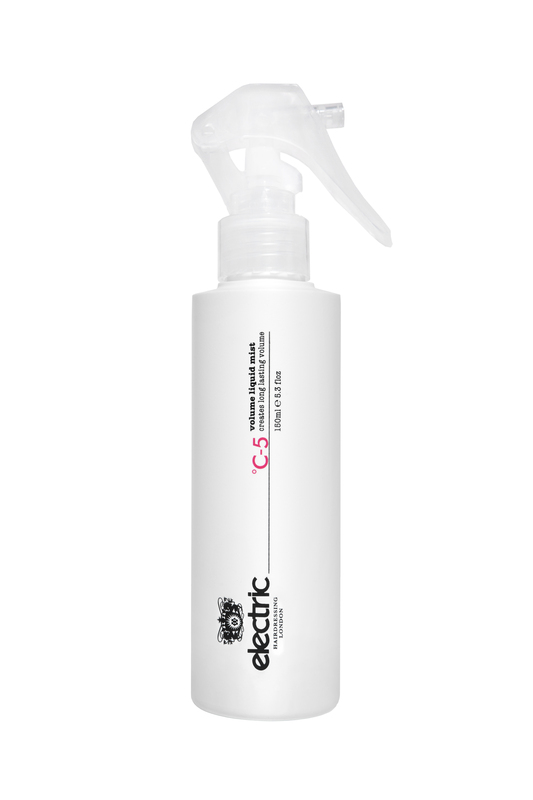 Full of uplifting floral notes of rose and jasmine, this scent comes with the added bonus of positive intentions. Joy is a great gift for anyone in your life, particularly those you cherish most. Vegan and USA made, this all natural scent can be applied on chakra centers, wrists, or neck for an elegant addition to any day. Give the gift of indulgent self-care this year! 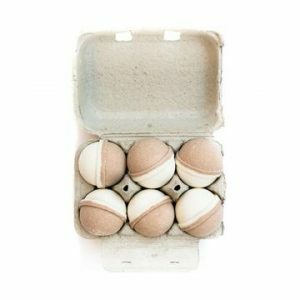 Perfect for anyone in need of an extra dose of relaxation, these bath bombs combine Frankincense and Myrrh for an aromatic experience. Made in the USA with all-natural essential oils, they turn an ordinary bath into something extraordinary. Available in a package of six, which gives the lucky person who receives them multiple uses. 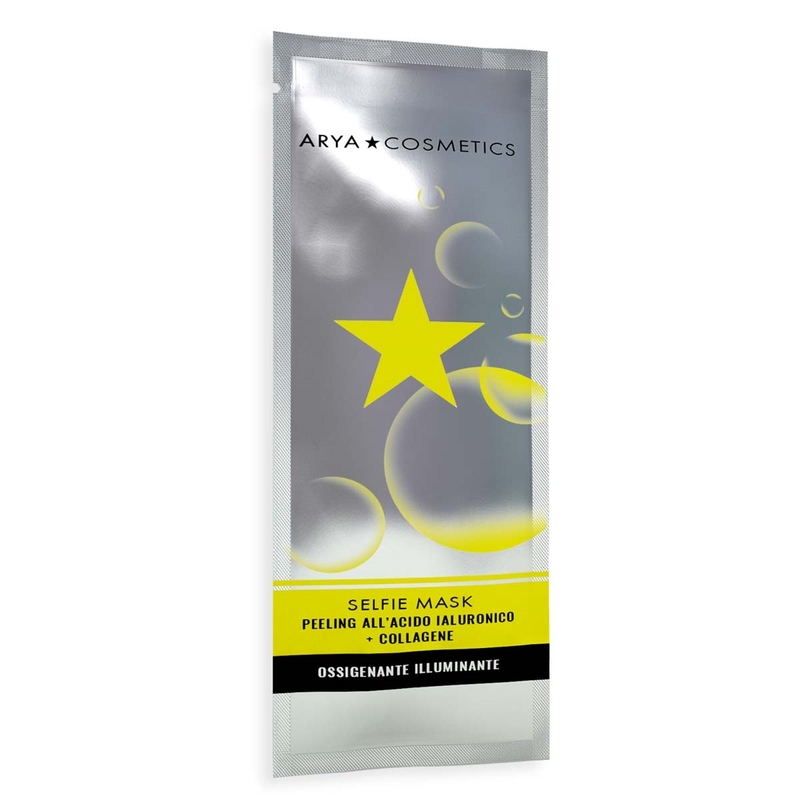 The Selfie Mask is here to remedy a lackluster complexion that may have been influenced by holiday indulgence. Your skin will look brighter, and your complexion more full from ingredients like hyaluronic acid and collagen. Perfect to gift individually to a group, or as a package of five to one lucky person. This peel-off mask is so effective, you won’t be able to resist taking selfies afterwards. Zaman Skincare is well known for quality, and unique ingredients. This set is no exception, and perfect for the woman on the go! The amazing Rise & Shine serum combines anti-oxidants and hydrating properties that keep your skin fresh and moisturized in one simple step. This set also comes with a beautiful white Onyx roller to help the ingredients penetrate further, boost circulation, and get you glowing. Changing of seasons represent progress and evolution, and our company has gone though many changes and evolutions of our own in order to respond the needs of our business to business network. 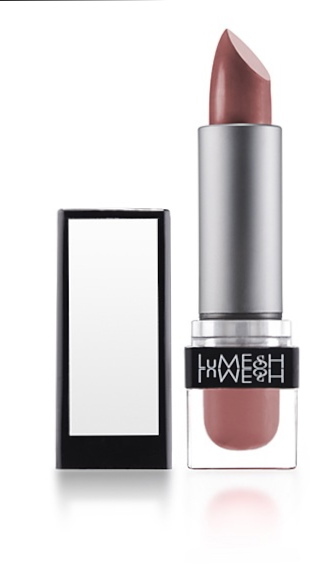 From Honest Beauty to The Beauty Marketplace Inc. Noticing the shift to digitization and online shopping, the decision was made to pivot our business model from content to e-commerce. The Beauty Marketplace Inc. was formed with the intention of becoming the Amazon for independent health and beauty brands. We are in the process of speaking to brands and developing our platform to meet industry needs. As of June 1, our proof of concept pilot program is now live, and we are in the process of recruiting brands to be vendor partners in our marketplace and provide feedback as we test our business model. Please email info@thebeautymarketplace.net for more information. In the meantime, shop our new website www.blog.thebeautymarketplace.net and share the link with family and friends. Since this is our MVP(Minimum Viable Product) pilot site, we want people to shop to not only support our independent brands featured on the site, but also provide feedback from a user experience perspective. Please feel free to e-mail me directly to share your ideas/suggestions: mary@blog.thebeautymarketplace.net ! The Beauty Marketplace Inc. – where beauty meets technology – was founded to fill the distribution gap for independent health and beauty brands by developing an online retail platform and marketplace. 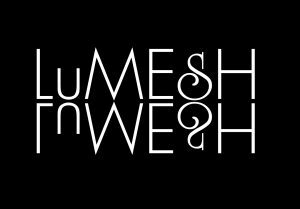 Our mission is to innovate the Health and Beauty Industry by fostering the growth and development of emerging brands and entrepreneurs. Feel free to contact us any anytime with your business needs! Please add our new emails to your contact list to continue to be informed of the latest happenings and opportunities. Here’s to a a successful Fall season! Great Call today with Bianca Joie, Founder of Be You Beauty! On the call, we chatted a bit about growing her business and evolving the Be You Beauty line from an at home remedy to a product line with commercial success. Bianca is an emerging talent in the Health and Beauty space who The Beauty Marketplace feels has just the right amount of passion, drive, and heart and soul to become a success. She reference Lisa Price, Founder of Carol’s Daughter as a role model. A professional hairstylist for six years, and make-up artist for three, Bianca is available to lend her expertise for events, weddings or photo shoots. What The Beauty Marketplace loved about Be You Beauty and Bianca is their mission of changing the world through hair, make-up, and women empowerment. 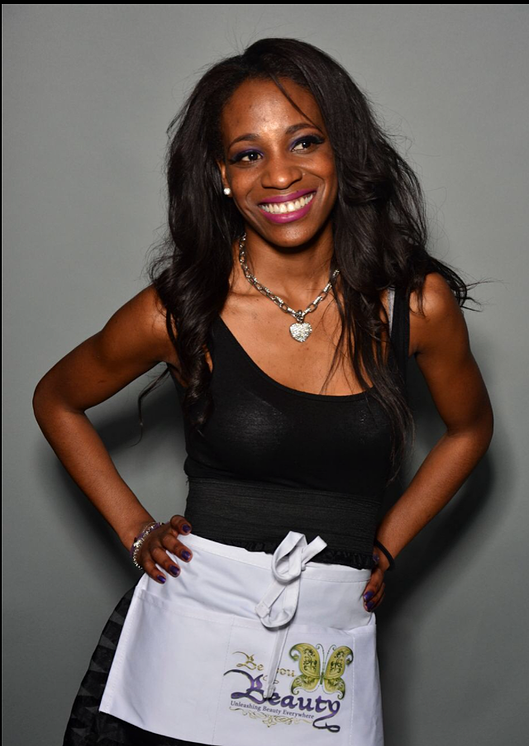 Bianca is presently making an all-natural hair oil and face mask in her kitchen which she distributes to her hair and make-up clients. Long term, however, Bianca would like to see Be You Beauty products distributed in salons and organic retailers, and The Beauty Marketplace hopes to track the company’s advancement and success. For the Be You Beauty Artistry website, click here. 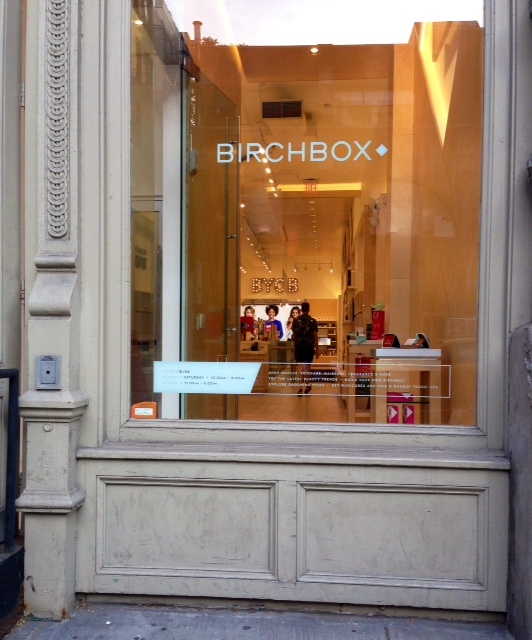 Birchbox – the company responsible for setting the Beauty Box trend into motion, offers a monthly box of personalized beauty samples to their subsc ribers recently set up brick and mortar retail shops . The Birchbox business model proves advantageous for consumers to find personal care products they love, and for Indie Beauty brands to gain exposure in a saturated marketplace. 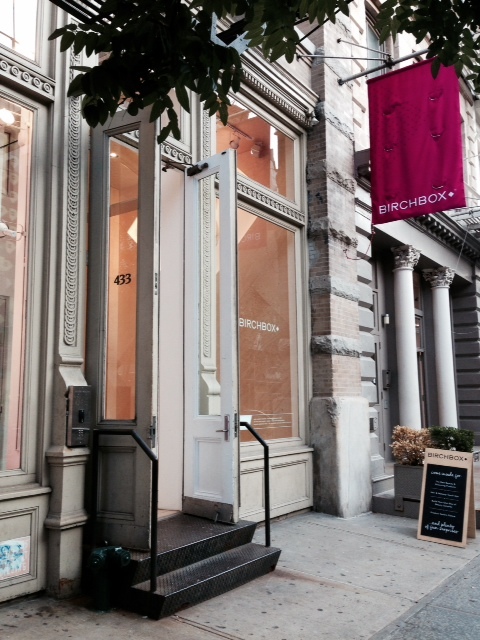 The Birchbox Shops are in key global destinations including France, Spain, the United Kingdom, and the U.S. 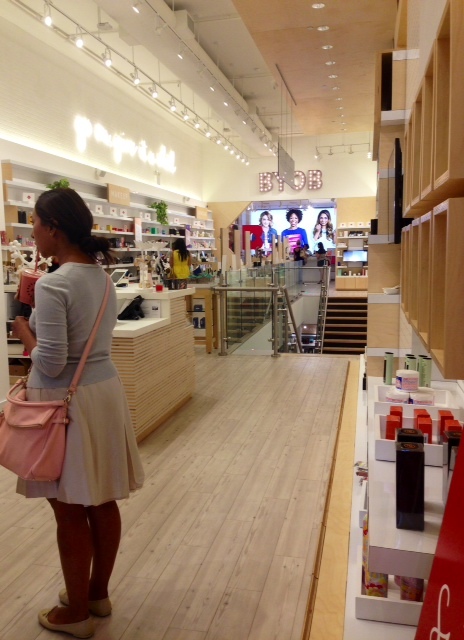 The Beauty Marketplace paid a visit to the Birchbox New York location yesterday which proved to be the ultimate beauty lovers paradise! Merchandise was conveniently categorized into sections including Lips, Cheeks, Eyes, Skin, Hair, Men’s, Nails (were even categorized by color), etc… making shopping simple and fun. 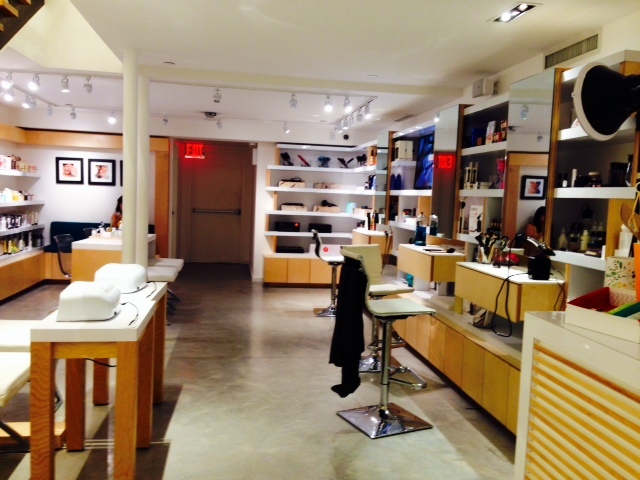 A station in the back of the store allowed the creation of a BYOB take home Birchbox Box on site, and a downstairs second level offered services encompassing hair, nails, and make-up application. 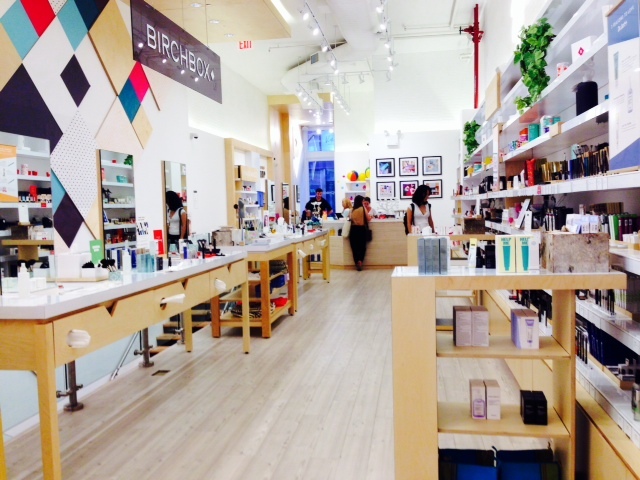 All in all, the Birchbox store is a destination every beauty junkie in search of new products should visit. Be sure to make a point to pop by to one of the global destinations, or if you cannot make a physical appearance, be certain to get the Birchbox experience online. Industry Executive, Sue Phillips, founder of Scenterprise and SCENTSORIUM, New York’s premier custom perfumery will testify customization is making its way into the fine fragrance arena. An article published by HAPPI magazine, backs up her claim. Read and find a link to the article here…. “Is this the future of fine fragrance? 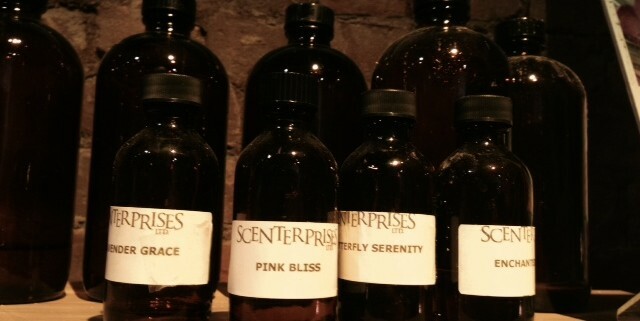 Customized scents are developed at The Scentsorium, the latest concept from Sue Phillips. ording to Sue Phillips, an industry veteran who has created fragrances for Tiffany, Burberry and others. Now, Phillips is creating fragrances for individual consumers as the founder of The Scentsorium, a custom perfume house. 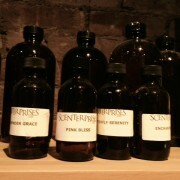 The Scentsorium, located in New York City’s TriBeCa section, had an opening reception in February. The Scentsorium delivers that customization in a warm, intimate setting. Guests step off a sidestreet in TriBeCa and enter a world far removed from Manhattan. The space is filled with images and mementos that are near and dear to Phillips—especially her mother’s paintings which adorn the walls of The Scentsorium. Within this comfortable environment, guests fill out a questionnaire to determine their preference for woody, fresh, floral or oriental notes. After a brief discourse of fragrance composition and construction, guests sample fragrance notes, select a few they like best and Phillips blends them all while-you-wait, decants the scents, labels it and even stores the unique concoction for future purchase. All in all, it’s something entirely different than what a shopper experiences at a department store fragrance counter, which, during the past decade, has become more like Hollywood Boulevard where people step on and over long-forgotten stars in the hopes of finding a new one. Quality is key for Phillips, who maintains that creating and wearing a bespoke fragrance, created from the world’s finest perfume blends, is more than just an affordable luxury; she calls it an “experi-sense” that lasts a lifetime. They can find both at The Scentsorium. The Beauty Marketplace recently had the opportunity to step inside Sue’s welcoming sensory curating den and we loved every minute! Why not celebrate your own individuality and customize your own scent? 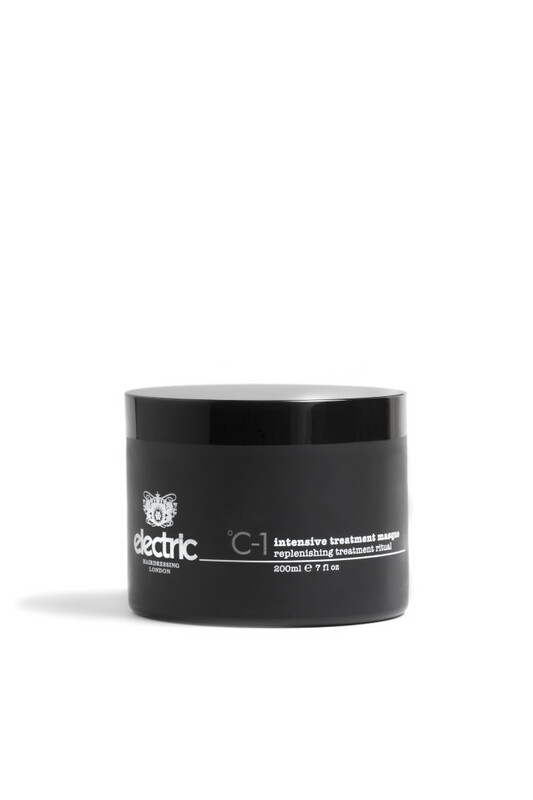 Masks saw a 66% sales jump in prestige outlets in 2013 and helped crave consumers’ need for immediate effects, as did peels. Exfoliation is taking a back seat to treating skin gently, and what could be more gentle than a cleansing oil? Oils, gentle gels and hydrating cleansers were stars in 2013. The mass market was inundated with volume-driven mascaras in 2013, showing that thicker lashes are as desirable as long ones. 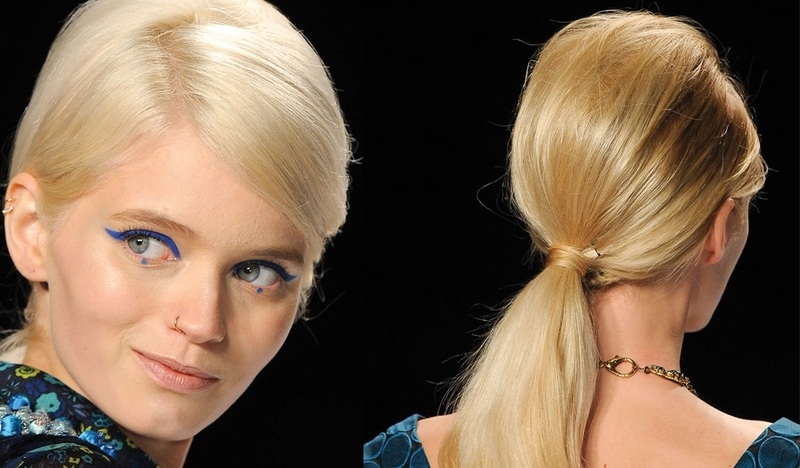 Beauty companies took an artistic cue in delivering eye formulas in 2013. 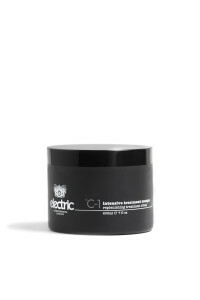 TREND #5 CC Creams upped the ante in the alphabet soup of skin care. Ready To Wear Beauty CC Foundation Color Correcting Stick: Uses an anti-aging, lightweight formula to conceal imperfections, and reduce the look of fine lines. Fighting the signs of aging moved from skin into hair care with creams, serums and even a color formulated with anti-aging formulas. We are looking at bold colors and shades that stand the test of time. In order to maximize their beauty content and advertising, the consumer publication Glamour, owned by Condé Nast, will be launched on online beauty website called Lipstick. An article posted on Women’s Wear Daily gives us the inside information and why behind the website…. NEW SHADE OF LIPSTICK: Glamour is throwing its hat into the crowded beauty Webosphere with its own digital site called Lipstick. Launching today at 10 a.m., Lipstick.com is essentially a separate entity from glamour.com and counts as Condé Nast’s first digital spin-off, according to a spokeswoman. 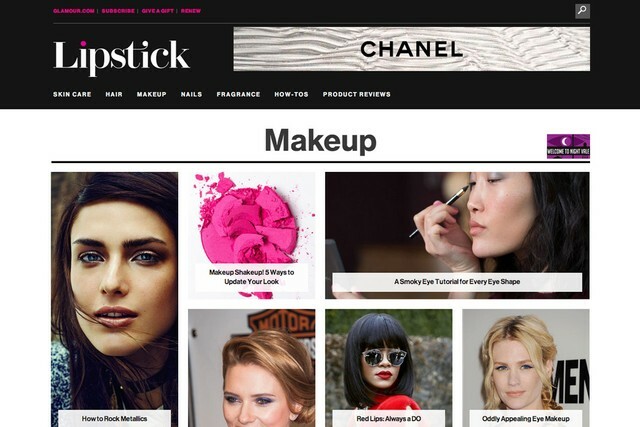 Visitors of glamour.com who are looking to peruse beauty content will be directed to Lipstick, which will also have a link on its site that will take readers back to Glamour. Content will be similar to what readers would find on Glamour’s current beauty site, but there will be more of it. 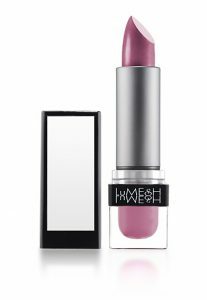 Lipstick will also feature stories from contributors such as Vanessa Bayer of “Saturday Night Live”; models Coco Rocha and Chanel Iman, and Bee Shapiro, beauty writer for The New York Times. According to Michael Hofman, Glamour’s executive digital director, the decision to create a new site was twofold. Glamour drives roughly 7.5 million unique visitors a month, with a large, undisclosed portion going to the beauty section of the site, he said. A separate site would not only maximize how beauty content will be displayed — for example, Glamour can right-size beauty images and utilize special zoom-in tools for viewers to see makeup — but it also opens a larger revenue stream for the brand. Additionally, there will be an e-commerce space for editors to link their favorite products to Glamour’s third-party vendor, Shop Glamour. While there will be “clearly labeled” sponsored posts as well, Hofman noted that the staff would be made up of Glamour’s print and digital teams. The title’s executive online editor Lindsey Unterberger will also serve as Lipstick’s executive editor.